Both professional and amateur photographers look for certain qualities in their lenses. Reliably sharp lenses with minimal optic artifacts are the gold standard. An investment in top quality lenses is one of the most important purchases any serious photographer will need to make. Film enthusiasts will find both high-end quality and affordability in Minolta film SLR lenses for Sony, Minolta and Maxxum SLR cameras. These top ten popular lenses will help complete any film camera lover’s kit. 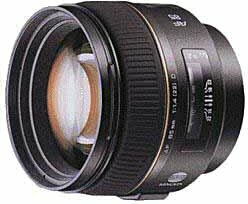 This basic but powerful prime lens is perfect for both distortion free portraits and quality bokah shots. 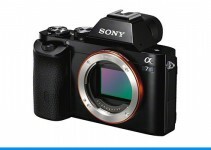 It features seven aperture blades, a built-in lens hood, and a quality build. It offers superior sharpness to its shots. A 50mm prime lens is the industry standard for being almost as close to the natural human eye ad how it sees the world. The effect in portrait photography is extremely natural without jarring distortion or lack of focus. Those seeking an artistic yet affordable lend for fine bokah will be pleased as well. The completely controllable features result in pleasant shapes without rough edges even while wide open at f1.7. This affordable lens will find itself welcome anywhere. This is a great all around medium telephoto lens. This lens, often affectionately called ‘the Beer Can’ by its many admirers, features a durable vintage build and world-class optics. 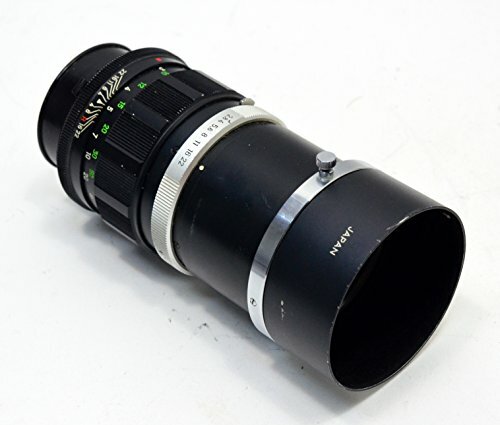 This lens is one of the only constant medium telephoto lens in the Sony and Minolta AF set. There is no other lens like it. It is decently fast with a constant f4.5 through its range. Even better, the lens length itself does not change while zooming in and out. 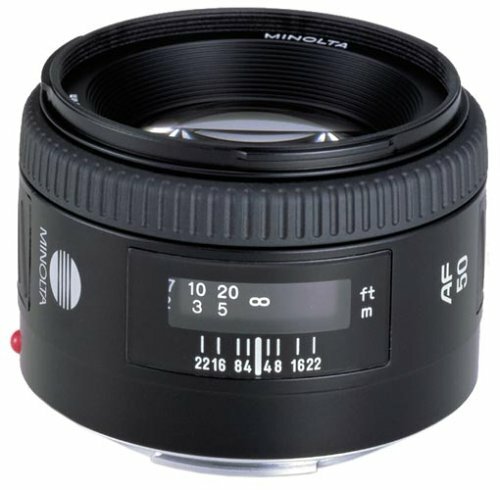 It offers the classic ‘Minolta colors’ and world class image quality for the experienced hobbyist or semi-professional. Features lightening quick f1.2 maximum aperture, a 50mm fixed focal length, and solid metal construction with Rokkor-X style. The lens is manual focus and can clearly focus at a minimum of 0.45 meters. Manual lens are sometimes intimidating to new photographers, but offer the greatest control and artistic range to those who take the time to master them. The MD 50mm prime lens is great for low light and up close photography. It offers great bokah while still being tack sharp while wide open. This is a true quality addition to any artist’s kit. Landscape and interior photographers know the value of a wide-angle lens with minimal distortion. 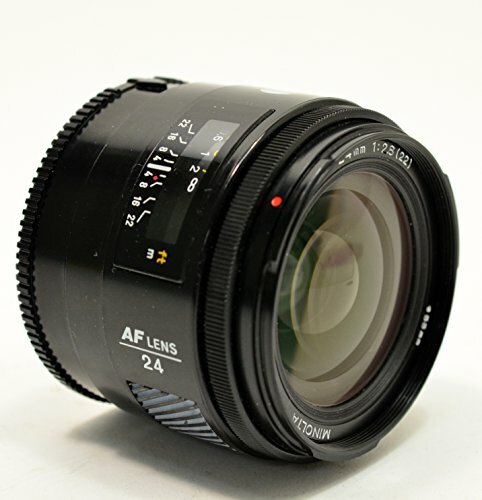 The AF 24mm prime lens offers three times the angle of a human’s eye standard 50mm standard prime lens. This means that more space is captured in each photograph. This is the lens you need when you want to showcase wide open space in all its wonder. It takes standard 55mm lens filters and has an included petal bayonet hood. It is a very versatile lens, with an impressive f-stop range from f2.8 to f22 with impressive image sharpness throughout. A manual focusing prime telephoto lens is amazing for street and nature photography. If you re looking for a tack sharp lens to really capture the smallest details of far off architecture or a craggy mountainside, this is the lens that cannot be beat. While manual lenses are not as fast or simple as auto-focus lenses, the greater degree of artistic control is worth exploring. The 135mm lens is a great stepping off point into manual film shooting. This lens features tough all metal design, sharp optics with a range of f2.8 to f22, and an included lens hood. Another great manual focus lens at an affordable price, the 45mm prime lens offers both creamy smooth bokah and tack sharp portraits. Just a little bit wider than a traditional 50mm prime portrait lens, the 45mm creates very pleasing portraits full of low-level detail and no flare. It gives great depth of field when used to shoot up close to the subject. This makes it ideal for shooting in small rooms. Its addition to your photographer’s kit increases your chances of catching that ideal shot across the room. Anyone interested in the artistic use of shallow depth of field will need to invest in a macro lens. This is an affordable but quality lens for any skill level. The macro prime 50mm lens has a very shallow depth of field for the greatest amount of artistic control of focus. It is also quite versatile, able to focus sharply from infinity to 1:1. An advanced design using three floating optical elements allows the photographer to capture scenes at a sharpness beyond typical human sight. In the hands of a skilled user it will produce high quality images with great artistic appeal. Beginners will find it daunting at first, but worth their time. 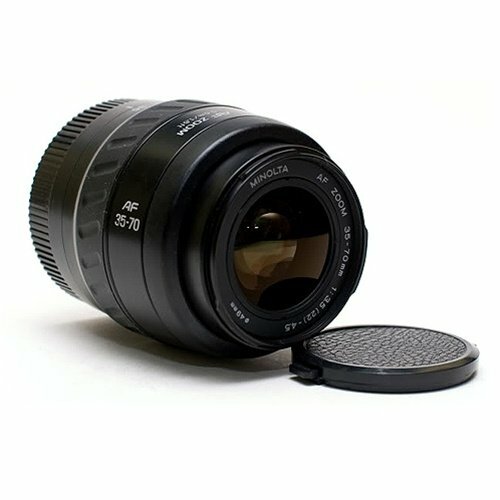 This is a classic quality lens. It features the extended double Gauss system with floating focusing. The rear element has an interesting non-linear way while focusing. 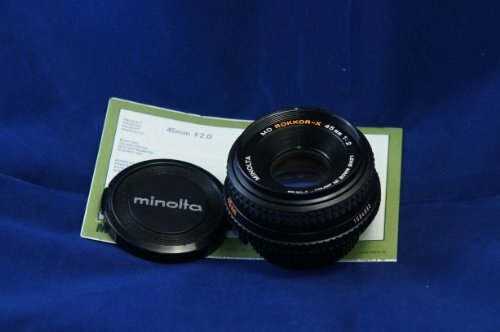 The lens offers excellent Minolta color and contrast with extreme sharpness even while wide open at f1.4. It has fast focus and fast transition between shots. The photos appear well saturated with rich skin tones and wonderful colors. 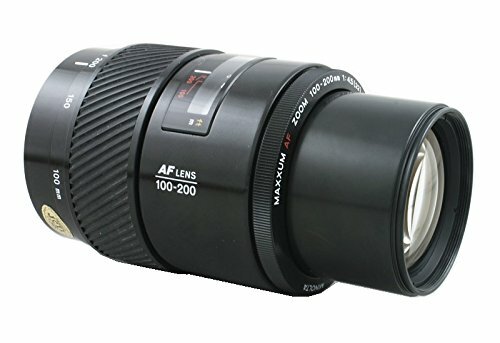 Most film SLR shooters consider this to be one of the best lenses available for the Maxxum AF mount. It is a pricey lens when compared to other offerings, but is well worth the cost to add it to your collection. A versatile lens that can easily take the place of several lenses when traveling, the AF 28-85mm lens offers a sturdy metal body and high quality optical glass. The lens produces pleasing softness at f3.5 but tack sharpness at lower stops. Focus is smooth and easy in auto-focus mode. When switching to manual for macro shooting it is clear and gives good results. A good travel lens, the AF 28-85mm is capable of wide-angle shots for landscapes as well as easing into the standard portrait mode to capture family moments. A downside of many telephoto lens is the sheer size and weight of them. The AF 70-210mm telephoto is an exception to that rule. It is lightweight and extremely compact at a mere 1.15 pounds and a length of nearly six inches. This is one telephoto lens that you will not want to leave at home! 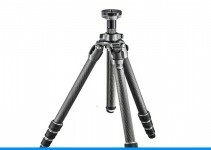 It is ideal for shooting wildlife in the wilderness or capturing sports scenes from a distance. It accepts 49mm filters. The ten elements are arranged in ten groups, correcting chromatic aberrations. Shots are crisp and clear with no soft spots to detract from their appeal. 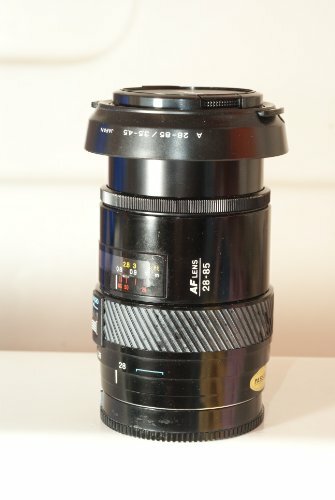 A typical kit lens, the 35-70mm lens has a maximize aperture of f4 and a minimum of f22 with a versatile focal range that can meet most photographer’s needs. It takes 49mm filters. The wide telephoto zoom is noted for being on the shorter side even while fully extended. Auto-focusing is quick and accurate with a sharp and pleasing result. It is capable of shooting in manual, with little sloppiness in handling. The colors are typical of Minolta lenses. Over all, this is a great everyday lens. It is perfect for use in the home to capture everyday moments and create timeless memories. Another versatile solidly built 50mm prime lens, the 2662-110 is capable of clear and crisp photos all the way through its f-stop range of f1.4 to f22. It is even tack sharp in the center while wide open. It focuses quickly and smoothly. Manual focus is simple to use and gives great results. It takes standard 55mm filters. It offers a wide 47 degrees of view to capture in your photography. It has magnification from 1:1 to 6.7 and a minimum focus distance of 1.5 feet. Cost wise it is a mid-range lens, but will pay for itself in quality images. Purchasing lenses can be a daunting task. 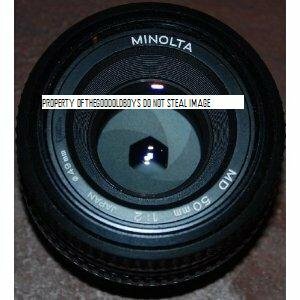 Minolta SLR lens have a decades long reputation for quality images and a rugged build. These ten lenses are some of the best and most popular lenses being sold today. Any of these lenses are sure to please even the most finicky shooter.